A visitor to London, having explored Rotherhithe, in the Borough of Southwark, can travel by London Overground and the Jubilee Line to Waterloo Station, which is in the adjacent Borough of Lambeth. Waterloo (formally named after the bridge, rather than directly after the battle) was one of London's earliest major rail terminuses, after Euston and Paddington. 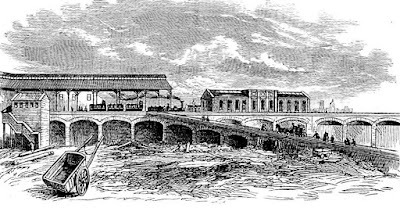 It was opened by the London and South-Western Railway Company in 1848, replacing an earlier temporary station at Nine Elms, near Battersea, and connecting London to Weymouth, Southampton, Salisbury, and Portsmouth. 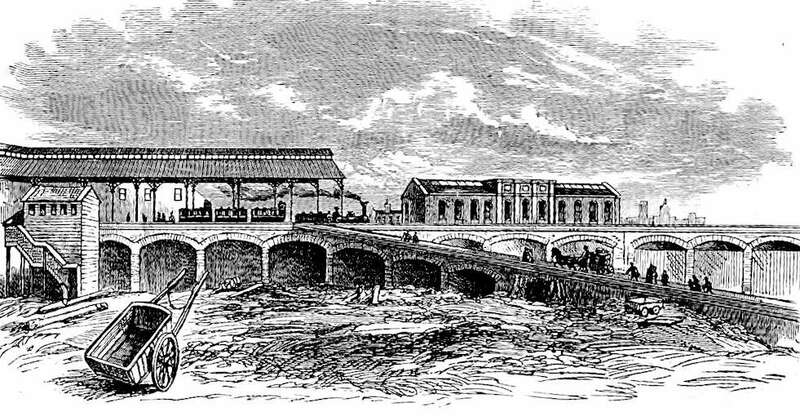 Waterloo Bridge Station in 1848 (image is in the Public Domain). 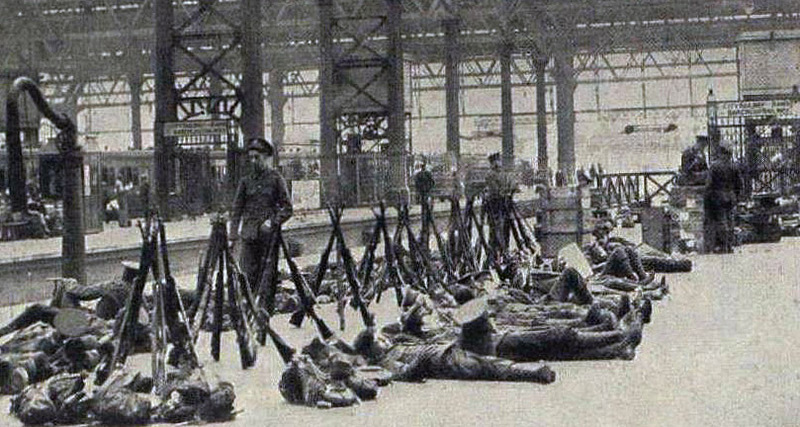 Waterloo Station today. Photo: Bjorn Christian Torrissen (licensed under CCA). The LSWR network in 1922. Image: Afterbrunel (Public Domain). It was a significant departure and arrival point for soldiers and sailors of both the First and Second World Wars. 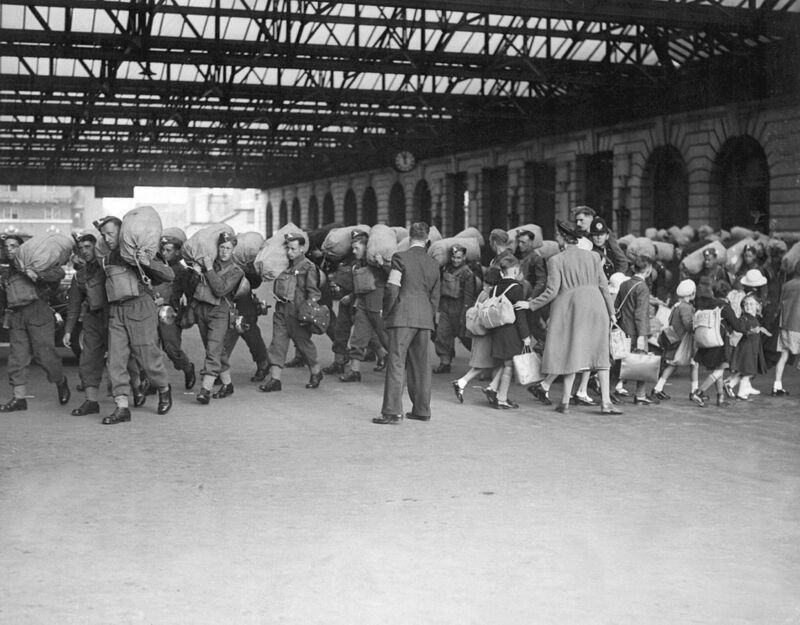 In the aftermath of the Second World War, it became the busiest station complex in Europe, and is depicted in John Schlesingers (1961) film, "Terminus", supposedly a "fly on the wall" documentary, although it is known that some of the scenes were set up, and that some of the people who appear in it were actors: it is, nonetheless, a poignant evocation of the last years of the Age of Steam. 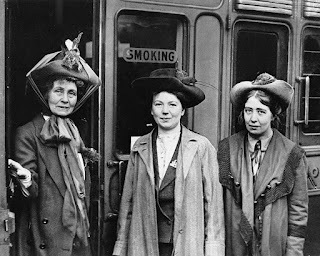 The suffragettes, Emmeline, Christabel, and Sylvia Pankhurst, at Waterloo Station in 1911 (Emmeline was embarking on a lecture tour of Canada and the USA). Photo: Imperial War Museum Q81490 (non-commercial license). 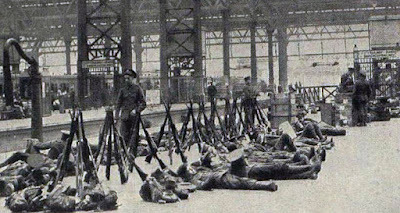 Troops at Waterloo Station in 1914 (image is in the Public Domain). Crowd gathered at Waterloo Station to welcome Charlie Chaplin in 1921. Photo: Photoplay (image is in the Public Domain). 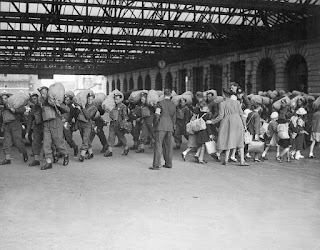 Waterloo Station in 1940, with troops arriving, and evacuees departing. Photo: US Defense Department (image is in the Public Domain). 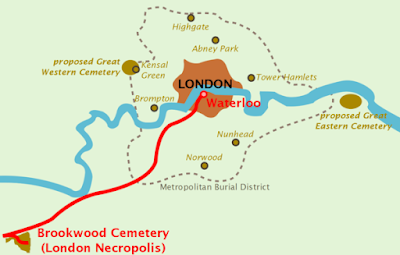 One of the station's most unusual roles was as the embarkation point for the London Necropolis Railway Company, established in the wake of the Burials Act (1851), prohibiting the burial of the dead within central London (the overcrowding of city cemeteries and crypts had become a scandalous problem, and a serious health-hazard, in the first half of the Nineteenth Century). The railway carried coffins and mourners to Brookwood Cemetery, twenty-three miles away in Surrey. The company's London station was badly damaged by German bombing in 1941, and the railway of the dead never re-opened. The London Necropolis Railway. Image: Iridescent (licensed under GNU). 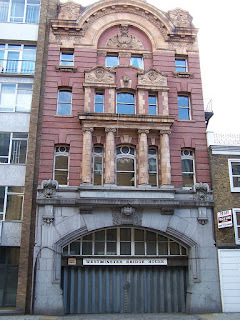 The former entrance to the London Necropolis Station, built in 1902. Photo: Wikimedia Commons (licensed under GNU). A one-way coffin ticket (image is in the Public Domain). 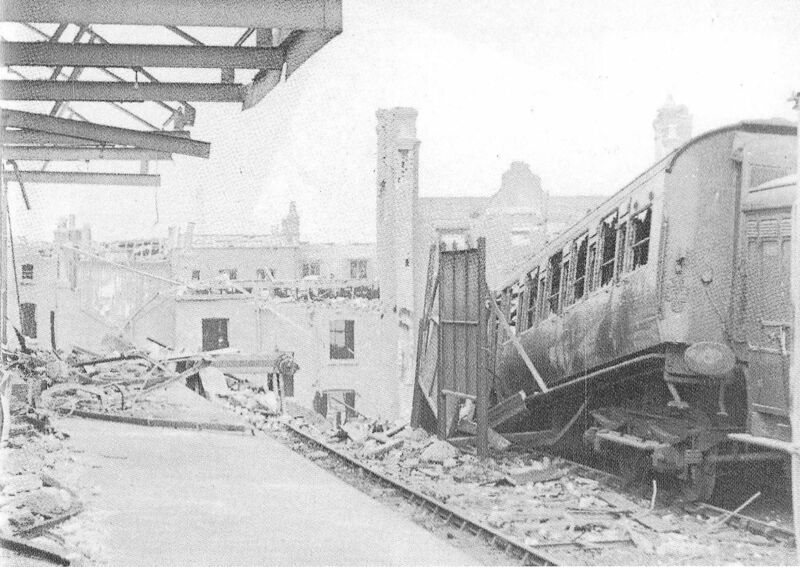 The bombed station in 1941. Photo: Southern Railway Photographic Unit (image is in the Public Domain). Leaving via the Victory Arch, opened in 1922 to commemorate the station's role in the First World War, we can walk down towards the Thames to begin our exploration of the Borough of Lambeth. 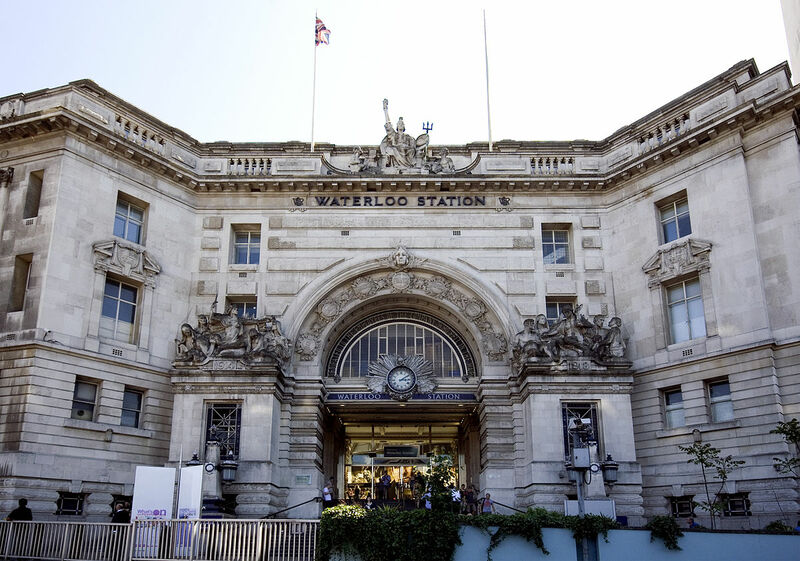 Waterloo Station's Victory Arch. Photo: Prioryman (licensed under CCA). I've spent hours of my life at Waterloo. It's good to learn some of its history.